This news feed is from the USAID WASHplusproject and features recent research and news on household drinking water quality in developing countries. 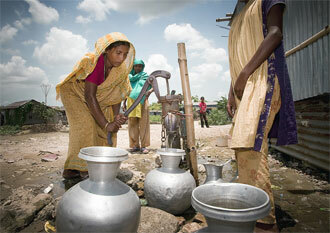 Its purpose is to create awareness and promote interest on household drinking water quality. Please email any comments or suggestions you may have and let us know of your organization’s work on household drinking water quality. Rochelle Rainey is the USAID contact on this issue and can be reached via email if you have technical questions or want to share information.